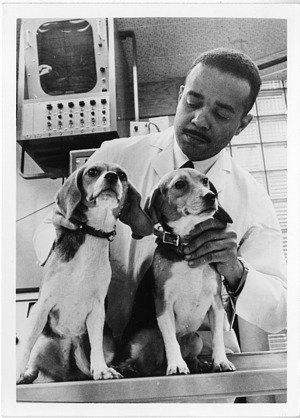 When Harvard Medical School distributed these photographs of John Clavon Norman, Jr., M.D. (1930-2014) to news services in the 1960s, Dr. Norman was at an exciting stage of his career. The young physician had already made quite a journey, but there would be even more paths to blaze. He had been born in West Virginia to parents who instilled in him a love of learning, a drive for achievement, and a commitment to community service. His research and surgery would eventually help extend the lives of uncounted numbers of cardiac patients around the world. Raised by his grandmother in North Carolina, John Clavon Norman, Sr. (1892-1967) had attended North Carolina Agricultural and Technical State Institute and served in the U.S. Army Cavalry Engineers during World War I. After the war, he studied architecture and structural engineering at Carnegie Technical Institute in Pittsburgh, and then moved to West Virginia in 1919. He set up a successful architectural practice, taught part-time at the state college (now West Virginia State University), designed and oversaw building construction, and met and married Ruth Lydia Stephenson Norman (1868-1990), a local schoolteacher. John Clavon Norman, Sr., eventually became West Virginia’s first licensed African-American architect and the Normans were active in educational, church, and civic affairs. In 1975, Ruth Norman was named West Virginia Mother of the Year. After internship and residency at New York’s Presbyterian Medical Center and Bellevue Hospital, Norman joined the U.S. Navy, serving on the aircraft carrier Saratoga and attaining the rank of lieutenant commander. Then he returned to civilian life, completed cardiac surgical training at the University of Michigan, and spent a year at the University of Birmingham in England for additional research work. By 1964, he had been appointed associate professor of surgery at Harvard Medical School and was also on the Boston City Hospital surgical staff, engaged in various research projects involving organ transplants. But the young physician also heeded his parents’ lessons about community engagement. 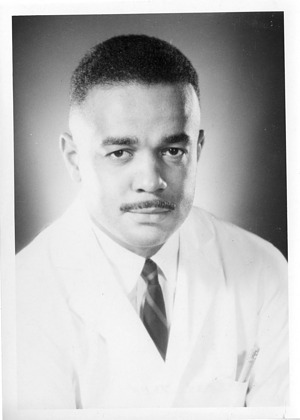 His article “Medicine in the Ghetto,” published in the prestigious New England Journal of Medicine (December 4, 1969), and his organization of conferences in Boston and other urban areas, attempted to mobilize the medical establishment to address undeniable inequities in health care delivery. Over the course of the next decade, Cooley and Norman made significant advances in the development and implantation of mechanical devices for cardiac assistance or replacement. At Texas, Norman continued his intense productivity (he eventually authored more than 500 scientific papers and eight books) and served as first editor-in-chief of Cardiovascular Diseases: Bulletin of the Texas Heart Institute. Norman later joined the staff of Newark Beth Israel Medical Center in New Jersey, and became professor of clinical cardiothoracic surgery at the University of Medicine and Dentistry of New Jersey. In 1986, he returned to West Virginia to head the surgery department at Marshall University School of Medicine. Toward the end of his career, he was director of clinical investigations at Whalen Biomedical, Inc., a Massachusetts research and development company. Two years after Dr. Norman’s death on August 23, 2014, a portion of a street in downtown Charleston, West Virginia, was renamed John Norman Street. It was a fitting tribute that joined the pathbreaking accomplishments of both father and son, and recognized the family’s extraordinary legacy.